We'll start the Clucas family story by looking back to Richard Clucas, born in 1819 on the Isle of Man. The unusual surname 'Clucas' originates from the Island, said to be the Manx form of the Gaelic patronymic name 'Mac Lucais', meaning son of Lucas. (Incidentally, this shortening of 'Mac' is also the reason why many the Isle of Man surname begin with Q.) He left the island and crossed the Irish Sea in search of work, and in 1846 when his third son, another Richard Clucas, was born, he was in Cockermouth, Cumberland. Later, he came to Stockport to gain work in the town's hatting industry; the 1861 census shows his wife Isabella and her younger children back in Ramsey, I.O.M., with young Richard working as apprentice to a printer, with his mother who gives her occupation as 'hatter's wife' - her husband was living in lodgings at 4 Stirbuttock Hill in Edgeley, Stockport. By 1871 his wife and their daughter Isabella (working as a hat trimmer) had joined him, and they had a house in Mill Lane, Bredbury. Richard Clucas [Junior] made his living as a bookseller, moving to various towns in England . By the time his third son, the 'hero' of our story William Ewart Clucas came into the world in 1874, and was named after William Ewart Gladstone who in January of that year had lost his job as Prime Minister when the Liberal Party lost a General Election, he was living in Preston, Lancashire. By 1891, Richard Jr., still a bookseller, and his Lincolnshire-born wife Elizabeth had found themselves a home in Stockport, at 21 Dale Street, Edgeley, with four sons: Thomas (20), Arthur (19), William Ewart (18) and Edward (12) and daughter Lizzie (9). 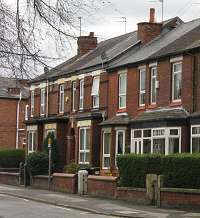 21 Dale Street, which still exists in 2011 (pictured above), is the kind of home which a lower-middle-class family would have afforded at that time, with its walled front garden and location opposite the local park. Wolff David Hertz (1790 - 1859), of Hamburg, sent his son Martin Hertz (1821 - 1885) as a young man to Bradford, Yorkshire where in 1846 he founded the firm of M.Hertz & Co., exporters of 'stuff' as woollen cloth was known. Two of Martin's sons, William Hertz (1846 - 1912) and Frederick Moxon Hertz (1858 - 1918), continued the business, and Frederick opened a branch in Manchester in 1883 to engage in the export of cotton goods. In 1894 William closed the Bradford operation, which was no longer profitable due to the fall in export demand for woolen cloth, and joined his brother in Manchester. 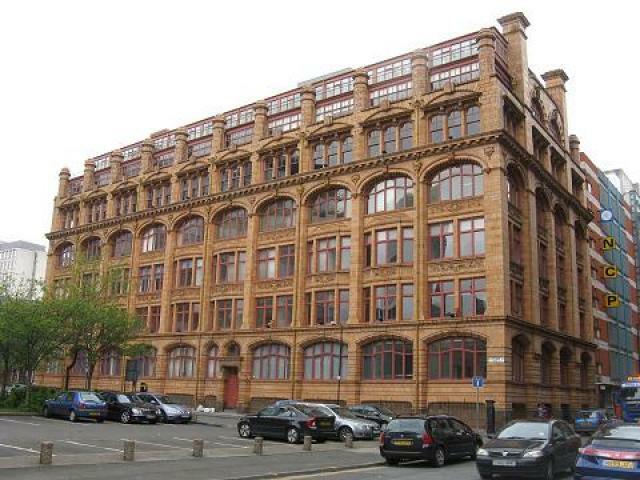 The warehouse and office of M.Hertz & Co. was at 42 Bloom Street, Manchester, until they moved into a newly-built shipping warehouse, Canada House in Chepstow Street, in 1908. They had their own entrance in Chepstow Street South. In 1916, at the height of anti-German feeling in Britain, Frederick Hertz changed the name of the firm to M.Hurst & Co., and the family also took the name of Hurst. This was the time when even the Royal Family patriotically changed its German name to Windsor. Canada House, the loading and unloading bays, seen in 2011. Of that generation, only William had sons, all of which received high-class education thanks to the wealth of the firm, but none of them wished to enter the business, preferring more intellectual careers. Two went on to receive knighthoods: Gerald Hurst became a lawyer and served as a Member of Parliament for Moss Side, and Arthur Hurst achieved distinction in the field of medicine. Gerald Hurst (who in 1905 married Margaret, daughter of Sir Alfred Hopkinson, later Vice-Chancellor of the University of Manchester and an MP) and Arthur's son Christopher Hurst both published autobiographies which have been a great help in the research for this article. Christopher, (1929-2007) called his publishing firm C.Hurst & Co. in memory of his ancestors. On the death of Frederick Hurst in 1918, he left money and efects to the value of £106,106 0s. 3d. The running of the firm in its later years was entrusted, along with William Ewart Clucas, to Charles Kukla, brought across from Germany; his mother was one of three daughters of Martin Hertz who had married a Czech born in Brno. As the twentieth century progressed, more countries established their own textile industries, and Manchester's export market dwindled, and M. Hurst & Co. dealt mostly with British colonies in Africa, involving journeys there by William Clucas, until it ceased to trade in 1954. 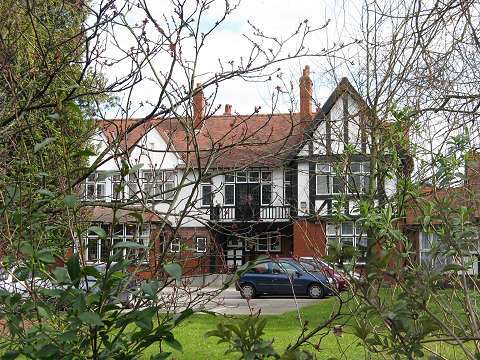 Charles Kukla, who lived in a large house (no longer in existence) at 1 Lancaster Road, Didsbury, outlived the firm and was well into his nineties when he died, in the 1960s. Obituary, Mr. W.E. Clucas. Manchester Guardian, 5 June 1945, p.3. Obituary, Mr. W.E. Clucas. Stockport Advertiser, 8 June 1945, p.8. Christopher Hurst, The View from King Street: an Essay in Autobiography. London: Thalia Press, 1997. Gerald Hurst, Closed Chapters. Manchester: University Press, 1942. Cuttings file on 'Reinbek', Stockport Local History Library. Our thanks are due to Kit Clucas and Ann Wilkie for their marvellous contribution to the story of Reinbek, and to Jane Clucas for discovering this feature and drawing her husband's attention to it. 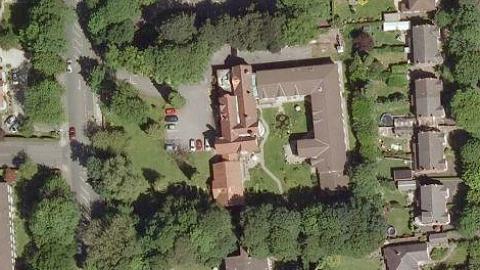 On Bramhall Lane, not far from Davenport station, standing in pleasantly leafy grounds, is Reinbek residential care home. 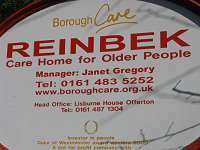 Why is a care home in Stockport named after a town in Schleswig-Holstein not far from Hamburg? Well, after considerable research, we have a good idea ... the following article is summarises the story of the place and the people who lived there when it was a family home. 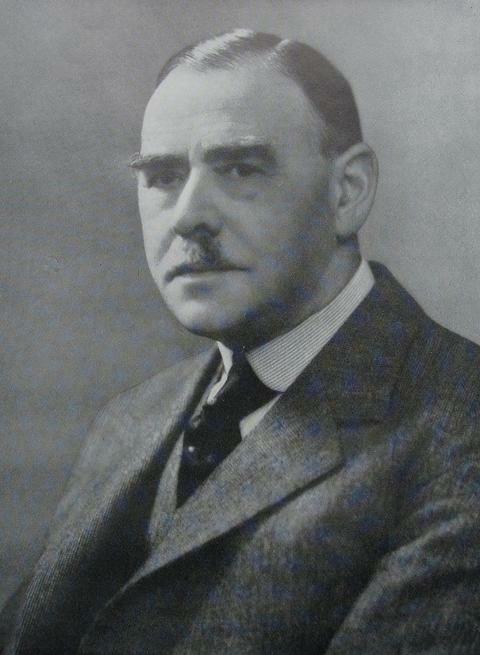 Above: William Ewart Clucas in 1935. From the Manchester Chamber of Commerce Handbook. In 1891 William Ewart Clucas gave his occupation as 'office boy'; from which humble beginning he built a career for himself in the cotton industry. He obtained employment with M. Hertz & Co., export merchants. The Hertz family came to England from the Hamburg area, perhaps the nearby town of Reinbek, and his fellow Governing Director Charles Kukla had also lived there; certainly Mr Clucas visited them in their German home town. In 1903 he married schoolteacher Mary Alice Willans, and they set up home, first in Beech Road, Cale Green, and then in a large, newly-built house, 52 Devonshire Road, in the private estate of Davenport Park, which they named 'Reinbek.' In 1905, their only son Henry Willans Clucas was born, and in 1915 their only daughter Margaret Clucas, who married local dentist Philip Crabtree in 1939, and lived until 1997. Two of William's brothers, Thomas Watmough Clucas and Edward Clucas, became cotton merchants on their own account; his elder brother Thomas Watmough Clucas lived in the adjacent house, 54 Devonshire Road. (The road is now called Devonshire Park Road, and at the time of writing No.52 is the home of a prominent worker in today's flourishing industry - comedy.) Thomas later lived at 23 Nevill Road, Bramhall, where he died in 1934. In 1910 William was made a partner in M. Hertz & Co. (later M. Hurst & Co.) and 1918 he became joint Governing Director. Understandably he decided to invest some of his wealth in a new, larger, house, to be built in the fashionable 'arts and crafts' style. 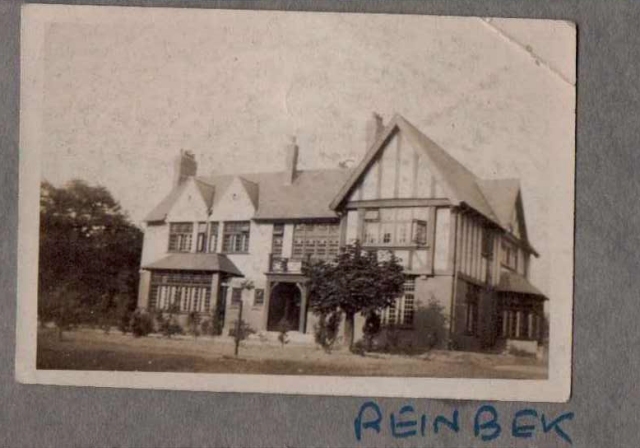 This was built in 1925, and the name 'Reinbek' was transferred from their earlier home. Above: 'Reinbek' c. 1934, complete with tennis court. By the 1930s he was a well-known figure in the Manchester Business Community, serving as a Magistrate for City of Manchester in 1933, Treasurer (1933-34) and President (1935-36) of the Manchester Chamber of Commerce. In Stockport he was a Trustee of Castle Street Methodist Church, Edgeley, and a local preacher. His obituary in the Stockport Advertiser tells us that he was a 'good English gentleman' and 'powerful public speaker, evidenced by the campaign for re-organising Stockport County fifteen years ago.' He was also a member of Davenport Golf Club. He died on 2 June 1945. His son and daughter had both married and moved away to homes of their own by 1945, and when he died Mrs Clucas was left alone in the large house. It was decided that she should exchange houses with her son and his family who were living in a smaller house, 'Calder', 20 Bramhall Park Road, Bramhall, which was built specifically for them when they married in 1930, and where Mary Alice Clucas died in 1954. 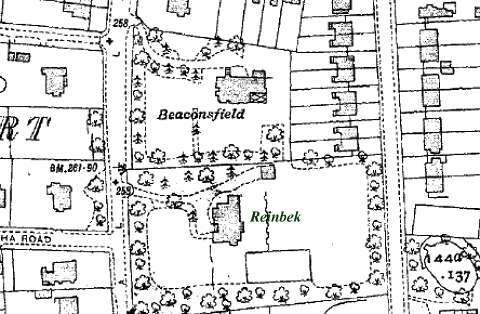 Henry Willans Clucas, who had married Mary Astley Heydon in 1930, lived in 'Reinbek' with his family from 1945 to 1948. He died in 1956, aged just 51, at the family home, which by then was 'Oakengates' in Ladybrook Road, Bramhall - a house not unlike 'Reinbek' in architectural style although smaller. We are pleased to say that their two children Kit (Christopher Henry) Clucas and Margaret Ann Wilkie, née Clucas, have contacted us to pass on their memories of the house. Read a memoir of life at Reinbek, written for us by Kit Clucas. 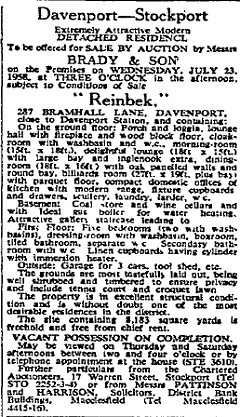 'Reinbek' was sold in 1948; the next householder was Thomas P. Coppock, who we believe was heir to a paint manufacturing business established by his father Thomas Coppock in 1903 in a former cotton spinning mill in Henry Street, Stockport. Perhaps the running cost of the house was too much for him too, as the 1952 telephone directory shows they too had left, to live at 69 Bramhall lane South in Bramhall, and later in Heath Road, Cale Green. The Chepstow Street South elevation of Canada House, former headuarters of M.Hurst & Co, seen in 2011. 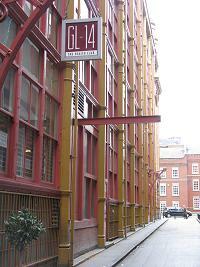 The building, designed as a shipping warehouse by local architect William G. Higginbottom, is used for offices by a number of firms: some of its original features, such as the hydraulic presses in the basement used for baling the cotton, which were connected to the Manchester Corporation hydraulic power network, still survive. By Christopher Hurst, from his autobiography. I stayed with my father's cousin Charles Kukla, then aged nearly eighty and still managing our family business ... in his comfortable home in Didsbury. This gave me a rare taste of luxury of a kind scruplulously eschewed by my more puritanically inclined closer relations. Indeed he was an unashamed Lebenskünstler: in his house only the best wines and cigars were produced, and his Portuguese wife Emmy cooked exquisite meals ... He took me on my only visit to the business in its antique premises in Chepstow Street South, where I was introduced to old chaps who had known my grandfather 'Mr William' and great-uncle 'Mr Fred', and shown over the warehouse, full of bales of gaudy cloth about to be exported to Africa.